Former Minister in charge of External Affairs, Kunwar Natwar Singh’s autobiography One Life Is Not Enough is an honest, searing account of the veteran’s life as a bureaucrat, politician, and cabinet minister. Natwar Singh talks about his experiences in Delhi’s political corridors and sets the record straight on several events, including the Volcker controversy. 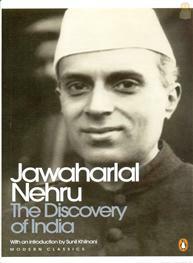 Summary of the Book Natwar Singh joined the Indian Foreign Service and served as a bureaucrat for 31 years. He joined the Congress Party in 1984, and became a Minister of State in the then Prime Minister Rajiv Gandhi’s council with the portfolios of steel, agriculture, and coal and mines in 1985. In this much-awaited autobiography, the former cabinet minister talks justly about his experiences and services in various ministries. Singh has played a significant role in Indian politics for more than twenty years and has been a part of some of the most epochal events of independent India, including Indo-China talks and the formation of Bangladesh. In 2002, when the Congress party came back to power, Natwar Singh was appointed as the Minister for External Affairs. But his eventful career saw its end with the Volcker Report in the year 2005. His name appearing in the Iraqi food-for-oil scam forced him to resign from the cabinet and eventually from the Congress party. Singh talks about all these events and the ups and downs of the Congress party in One Life Is Not Enough, an account of an insider. His association with the party allowed him to observe some of the historical events closely, and he talks about Pakistan in the 1980s, under the rule of President Zia-ul-Haq, Indo-Chinese and Indo-USSR relations among other sensitive developments. 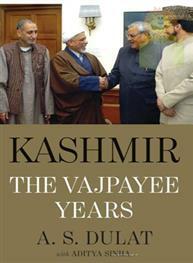 Reviews: Natwar Singh is one of the great raconteurs of modern India. 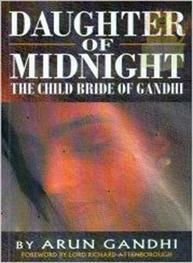 - Siddharth Varadarajan, Hindustan Times “…it would be a book worth reading.." -- Sidharth Bhatia, The Asian Age This is a very readable book on many counts. - Harish Khare, Open Magazine “.. given his ( Natwar Singh) long association with Nehru-Gandhi family his view can’t be dismissed lightly..” - NCP About K. Natwar Singh Kunwar Natwar Singh was born on May 16, 1931. He studied in some of the most reputed institutions including the Corpus Christi College, Cambridge University and Peking University in China. After serving in the IFS for about 31 years, he joined politics. He was honoured with the Padma Bhushan award in 1984. Singh was a cabinet minister and served as the Minister of External Affairs of India, until his resignation, post the Volcker Report controversy. 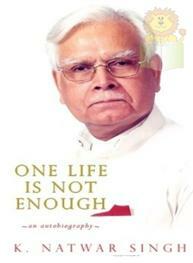 One Life Is Not Enough is his autobiographical account. 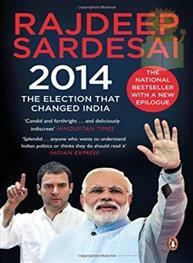 2014 The Election T.. Rajdeep Sar..